American hard rock band Black Stone Cherry formed in 2001 in Edmonton, Kentucky. They are signed to Roadrunner Records. The band consists of Chris Robertson, Ben Wells, Jon Lawhon, and John Fred Young. 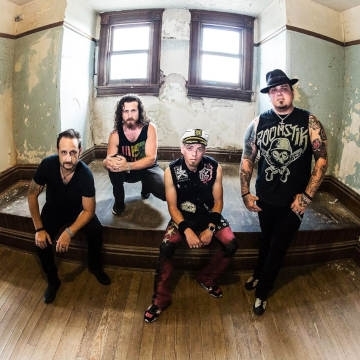 For 17 years, Black Stone Cherry has put forth a new vicious breed of Southern rock, injecting youthful vitality and a myriad of fresh new influences into the beloved American rock tradition. To date, the band has released five critically acclaimed albums, and one well-received blues EP. Black Stone Cherry has also rocked 12,000-cap arena shows, topped the UK charts, and shared the stage with a diverse roster of superstars, including Def Leppard, Lynyrd Skynyrd, Bad Company, Mötorhead, and ZZ Top.